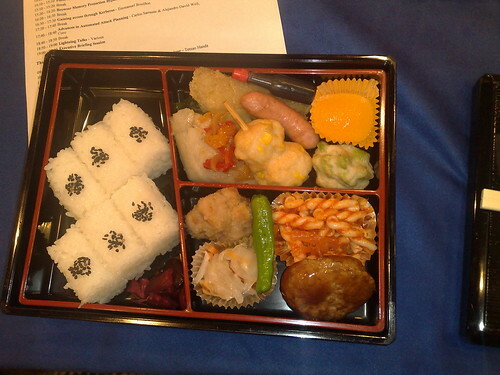 Bento Lunch, originally uploaded by kkadow. PacSec conference lunch break. At Aoyama Diamond Hall in Tokyo, Japan.